CASH CEILING: Though candidates contesting the elections in Goa this Saturday are permitted to spend up to `20 lakhs, they are allowed to withdraw only `24,000 per week by the Reserve Bank. With barely days to campaign, they can legally withdraw only `3 lakhs. They can withdraw more only if they open current accounts, as the ceiling on savings accounts remains at `24,000 per week. AND a few stray thoughts for yet another Friday. For a Friday following the week when Goa witnessed a flurry of visits from top political leaders from Delhi. For a Friday following the week when the Bharatiya Janata Party (BJP) and the Maharashtrawadi Gomantak Party (MGP) continued to be silent over the medium of instruction and casino issues. 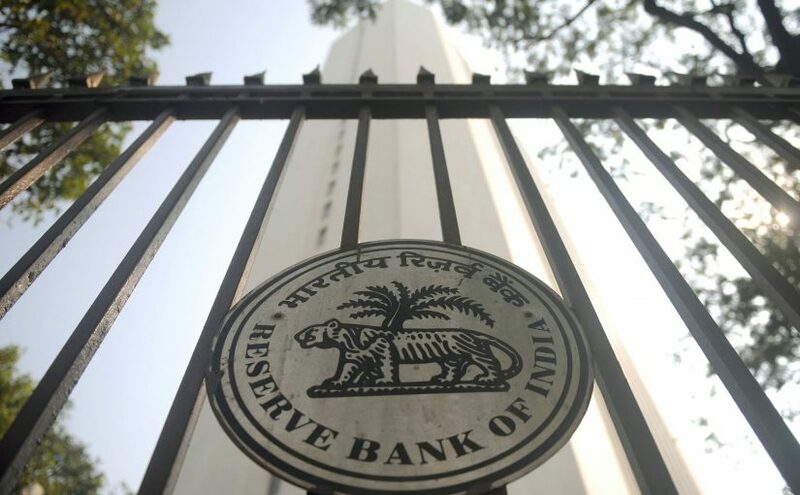 For a Friday following the week when a confrontation was brewing between the Reserve Bank of India (RBI) and Election Commission. For a Friday following the week when the Goa police filed an FIR against Arvind Kejriwal for asking voters to take money from every party but vote for his Aam Aadmi Party (AAP), and a similar appeal by BJP’s Defence minister Manohar Parrikar was ignored. For a Friday following the week when tourism in Goa continued to be an exercise in extortion. For a Friday following the week when we wondered what would happen if Goa took a cue from US president Donald Trump and banned all migrants. AND a few stray thoughts on the flurry of visits by senior national leaders to campaign for the Assembly Elections on February 4. Closely in the wake of AAP convenor Arvind Kejriwal, came prime minister Narendra Modi on Saturday to Campal grounds. While Kejriwal accused the BJP of being a communal party, Modi insisted that Goa had the best infrastructure in the world. Since he only travels by helicopter, he cannot see the potholes or huge piles of garbage in Goa. In the run up to his rally, there was hectic work at the parade ground that is no longer used for events like the Republic Day parade but to dump garbage. Apparently the Corporation of the City of Panjim and state government were trying to hide the garbage and level the ground so Modi would not get the stink. Modi attracted bus loads of BJP karyakartas who were brought in from various constituencies. He kept talking about Goa’s tourism potential. Modi claimed pride for the development of the infrastructure the BJP government carried out during its five years in power. To the horror of most of niz Goemkars present, he spoke about further improvements in the infrastructure not for Goa’s long suffering residents but for tourists. Modi insisted that the infrastructure being created in Goa had to be extra special as it was a tourist state. He was probably referring to the new design of the Zuari bridge which, according to minister for Transport & Highways Nitin Ghadakari, will have 200-metre towers with a viewing platform, restaurants and a shopping complex. We do not understand how Goans will benefit from such cosmetic additions to the infrastructure. THIS gives the impression that the BJP carries out infrastructure works in Goa like the third Mandovi Bridge and the Tiracol bridge for the benefit of tourists and the locals. The government calendar highlights the beautification of a small traffic island in Saligao by Tourism minister Dilip Parulekar. But on a trip to St Brittos in Baga on Sunday, we experienced the nightmare that the narrow Baga streets evoke. Why can’t Michael Lobo, the star of the BJP, and Parrikar, have a flyover in Baga for the benefit of lakhs of tourist who go to the night clubs and shops? Either Modi was wrongly briefed or, like all other Indians, he looks upon Goa only as a tourist destination. According to him, tourism is good for the economy as it provides employment to lakhs of small people including the chaiwala. MODI probably does not realise that very few people come to Goa to drink chai. The main attraction in Goa is daru and not chai. Tourism does not benefit the local people as top-level jobs are reserved for outsiders and in many cases foreigners. General managers and even chefs of most five-star hotels are foreigners. Since even multinational chains of five-star hotels pay their Goan employees a pittance, only migrants are willing to work for them. In fact, most employees in hotels in Goa – five-star or two-star – are trainees from the hundreds of hotel management institutes who are paid a token stipend and required to work for 18 hours a day. Recently when we visited a very famous sea food restaurant in Baga, we found that the waiters and even managers were from either Nagaland or Orissa, and could not speak even English or Hindi, leave alone Konkani. Somebody should tell Modi that Goa needs information technology companies or at least BPOs, which would be ideal for the large army of the educated unemployed in Goa. He should also ensure that the corruption preventing local industries from expanding in Goa should stop. If it was Modi on Saturday, it was Rahul Baba on Monday. Unlike Modi, Rahul Gandhi chose the old banyan tree just outside Mapusa which has become a giant temple. This is one of his first visits to Goa as vice president of the Congress on official work. Most of his earlier visits with Priyanka didi and Sonia tai in the past have been on a holiday where they have limited their travel to the grounds of five-star deluxe luxury hotels. The Gandhi family is very fond of holidays in Goa and have been spending Christmas and New Year here for many years. But Rahul Baba prefers vacations abroad. Not surprisingly, he called Modi corrupt and accused him of incurring unnecessary expenditure on infrastructure that Goans did not need. He also accused Modi of lying to the nation regarding the mushkil caused by demonetisation. The scrapping of `1000 and `500 notes and the cap on withdrawals affected locals, tourists and Goan and Indian NRIs who came on holiday for Christmas, New Year and the long Republic Day weekend. Guests of ours from Canada bitterly complained about having to hunt for cash at ATMs to pay hotel and restaurant bills in smaller towns which do not have machines to cards. For NRIs and foreign tourists who think in dollars, the limit of `24,000 per week or `1 lakh a month is the equivalent of just a hundred dollars. Rahul also called Modi a dictator and claimed that if the BJP was re-elected in Goa, it would be remote controlled by Parrikar as Modi did not talk about sending him back as chief minister. AND a few stray thoughts on the growing confrontation between the Election Commission (EC) and the RBI. According to EC rules, every candidate contesting Assembly Election in Goa can spend up to `20 lakhs. Candidates in Goa cannot even legally spend more than `1 lakh a week as until January 30, they could only withdraw `24,000 a week or `1 lakh per month like all other citizens. The worst affected have been states like Goa where the final declaration of candidates took place only on the January 21. This left only 14 days for campaigning during which they could withdraw only `2 lakhs as against the `20 lakhs they are permitted to spend. The EC is an autonomous body. It was quite upset with the RBI for obstructing elections by refusing to make enough funds available for candidates to canvas legally. Candidates with black money to gift mobiles, bikes, pressure cookers, sewing machines, or even tiles and bricks for their crumbling houses have no problem. But if they are caught spending black money, they were liable to be disqualified. They, of course, never get caught, as in the game of cat and mouse between EC officials and candidates, the mice are much smarter than the cats. They have look outs posted within a kilometre of where they are distributing money or goodies and sufficient warning to disappear before the EC observer arrives on the scene. Presumably in response to the EC threat, the RBI has lifted the limit on withdrawals from ATMs from Tuesday. However, the ceiling on withdrawals in a week is still `24,000. This only means you can withdraw `24,000 at a time from the ATM or from your savings bank account. The RBI has only lifted the ceiling on withdrawals completely from current accounts, which normally only companies have. People are reluctant to open current accounts as there is no interest paid on balances. There also seems to be confusion with security arrangements during the visits of top leaders like Modi and Gandhi who enjoy Z+ security. Usually, security passes are issued to the media by the state police department in consultation with the Press Information Bureau or Department of Information. But since the visits of these leaders are related to the elections and not to any official work, apparently government departments cannot be involved even in issuing passes to journalists to cover the rallies. Parties are given authority to decide who should be given media passes. The local BJP and Congress will block media cards to organisations they consider hostile. Despite speaking to the Superintendent of Police (Security), we could not get media cards for either the Modi or Gandhi rally. In the latter, the additional complication was the fight between the Luizinho Faleiro faction and the Pratap Singh Rane group. AND a few stray thoughts on the discriminatory attitude of the Goa police. When Kejriwal made a statement at his rally in Chimbel exhorting voters to collect money from all parties and candidates but vote for the AAP, the BJP filed a complaint with the EC. According to EC rules, no candidate or party can offer any inducement including cash to voters. The EC admitted the BJP’s complaint and directed the state government and police to lodge a First Information Report (FIR) against Kejriwal. But what is sauce for the goose is not sauce for the gander. When Parrikar made similar remarks, the police did not take action against him. As in the case of Kejriwal, Parrikar is also reported to have repeated the advice to voters to accept money from all candidates but vote only for the BJP. Unfortunately for Parrikar, the Congress has complained with a video showing him making the remarks. A show cause notice has been issued by the EC to the Defence minister as to why action should not be taken against him. AND a few stray thoughts on how tourism in Goa has become an exercise in extortion. Whenever there is a long weekend, tens of thousands of tourists from Delhi, Bangalore and Maharashtra come to Goa. Many came during the long Republic Day weekend from January 26-29. Others extended it to Tuesday. Delhi tourists came to have a flutter in the casinos. Domestic tourists came to drink, as daru is much cheaper in Goa and it is the only state in the country where Republic Day is not a dry day. Now everything depends on supply and demand. Whenever there is a rush of tourists, everyone increases their prices. Hotels which usually charge between `5000 and `10,000, increase their rates and charge between `10,000 to `30,000 per night. Airlines increase fares from an average of `5000 to `10,000, to even `30,000. Goa’s taxi drivers, who even normally charge `24 per kilometres, double that if it is night time or if you have to go to the airport. Since the BJP returned to power in Delhi and Suresh Prabhu became the Railway minister, even railway fares have gone up when there is a rush. We found private buses charging `3000 to `5000 from Goa to Bombay instead of their normal `1000. Tourism has become an opportunity to loot the tourist. Without control, tourists will stop coming to Goa. AND a last stray thought for yet another Saturday when Donald Trump banned the entry of refuges from seven Islamic majority countries. Worse still, he has refused to permit nationals of Muslims countries who have green cards to return. People with valid papers working for Microsoft, Apple and Facebook are being detained at airports and may be sent back to their countries. In retaliation, many countries have banned Americans. I wonder what would happen if some mad person like Trump became the chief minister, banned all migrants coming to Goa and asked all those who settled here to leave. Perhaps he would build a wall along the Goa border as Trump is doing to prevent people coming from Mexico to the US. There is no such risk of course as everyone in Goa wants to welcome the tourist because they want to not, just pick but, cut their pockets. Previous post: COOKED FOR POLITICS!